This morning I went to the bank and Lori one of the bank tellers was showing off pictures on her camera of herself and BROOKS AND DUNN! 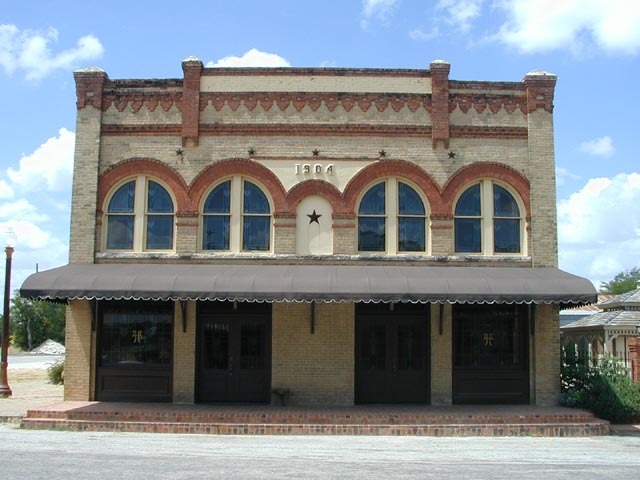 So after a couple of errands I drove by what used to be AntiqueStone and is now the "Lone Star Hall" (http://pics4.city-data.com/cpicc/cfiles20536.jpg), where my dad used to work. And who did I see walking down the road, but Ronnie Dunn. I drove around a couple of times before I saw a group of "lookie-lou's", Bertramites, and joined them. I went over and watched with a couple of people I knew. I think they(Ronnie Dunn and Kix Brooks) were filming a Toyota or Chevy pick-up truck commercial. Afterward they came over for pictures and autographs before having to leave to catch a plane. I even got to shake their hands. I got one close up picture before my camera died. They are even better looking in person! (esp. Kix!) I'll try to post some later today or tomorrow.